The success of a rescue dog becoming a good gundog relies heavily on the breed, age and agility levels of each individual dog. 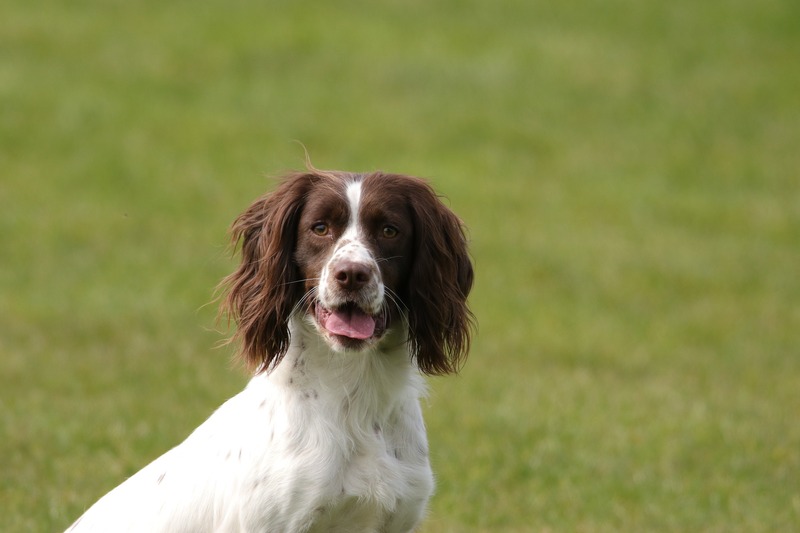 Breeds such as English Springer Spaniels are quite often found in rescue centres, after their owners underestimate their high-energy levels and need for regular exercise. Sometimes gundogs that have already been trained to be gundogs can even be found in rescue centres, when gamekeepers are made redundant or find that they simply have too many dogs for their need. 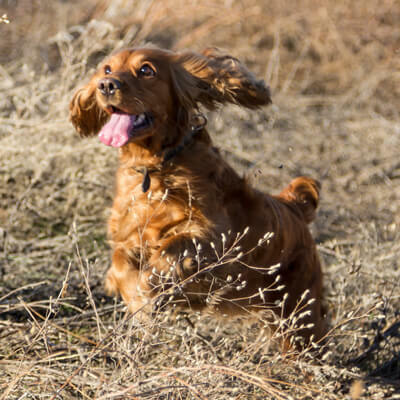 You’ll find a dedicated rescue and rehoming charity for virtually every gundog breed out there. Not only is this a reminder of how many dogs need to be rehomed, but it means there are many to choose from and there is likely to be one in your area. While rarer breeds may have only a single rehoming organisation, other breeds such as Labradors and spaniels have many. Dogs are amazingly adaptable creatures and have the ability to adjust to a new environment very quickly. There’s a saying “you can’t teach an old dog new tricks” but this simply isn’t true and the majority of trainers will tell you this. Although there might be a learning curve, a dog can soon be taught to retrieve with both speed and style, as well as actually drop the catch at the end too. For many people, having a rescue dog becomes a way of life and they would never consider buying a puppy again. It’s important to find out as much as you can about any rescue dog, what their temperament is like, their history and their age, and bear in mind that the charity will try and find out as much as possible about you as possible too. For example: Springer Spaniel Rescue lists nine strict rules that apply to anyone who wants to rehome a spaniel. The rules are, however, very sensible because if they applied to everyone then there would be far fewer dogs in need of rehoming in the first place. Questions range from previous experience or knowledge of the breed, to having the financial security to pay for veterinary treatment. An internet search is the best way to start looking for a dog that needs rehoming, check for good charities in your area and be sure to leave your details with them if nothing is right for you at the time. At Alpha, we pride ourselves on making high-quality dog food that working dogs not only love, but that keeps them fit and healthy, keeping them ready to tackle their working day. Alpha pet foods contain only the finest ingredients combined to create optimum nutritional advantage. Most of our ingredients are locally produced to guarantee, quality, freshness and traceability…and we only source vitamins and other supplements from the most reputable suppliers. The Alpha range suits a wide variety of working dogs, with four categories which are suited to how active your working dog is. Dog foods for less active dogs provide controlled energy sources for working dogs at rest and seniors. Complete recipes that provide the balanced nutrition required by active dogs. Nutritionally formulated to help promote healthy muscle development and deliver boundless energy and stamina to cope with the most demanding and challenging events. Working dogs love our food because of the fresh ingredients and the balanced proteins, oils and carbohydrates for enhanced stamina and work rate. This food is designed to keep dogs active, to keep their energy levels high, and to keep them happy and healthy. Or if you have any questions about our products, please contact our team directly on 0161 7900487 and we’ll be happy to help. A Border Terrier is an obedient, affectionate, easily trained, and relatively low maintenance working dog breed, closely related to the Bedlington and Dandie Dinmont. Their coat is naturally dirt repellent, they don’t tend to snore or drool and they are less aggressive than other traditional terriers. Although bred to work, these are dogs that love being part of the family, so human contact is a must. The border accounts for 25% of the 28,000 terriers registered with the KC in 2011. Like most working dogs, Border Terriers are highly intelligent and quickly learn directions and cues. Bred for jobs that require lots of decision making and concentration skills, such as rat hunting, these dogs are highly intelligent and need to regularly exercise their brains. They were originally bred to go long distances and run alongside horses in hunts, they also had to be strong and stout to control foxes. They have always been bred for their working qualities and are skillful underground (digging and tunnelling) as well as above ground (chasing and tracking). Border Terriers are happy dogs who generally get along well with everyone from children to strangers. They are vocal around new people and unfamiliar noises but then their friendliness will take over once they are comfortable. They are happiest when part of the family, around humans. These dogs have hard, wiry coats that enable them to withstand wet and cold, and they come in four main colour variations; red, grizzle and tan, blue and tan, and wheaten. Periodic stripping (every five to six months) will keep your dog looking neat and tidy. Border Terriers have a powerful drive to hunt and dig, as well as an energy level that enables them to keep up with hunters on horseback. They have also been known to chase, attack and even kill neighbourhood cats, squirrels or other small animals due to their strong instincts. Border Terriers thrive when they’re with their people and aren’t meant to live outdoors with little human interaction. They are best described as wonderful companions who play hard and love harder. These dogs are quite adaptable to different circumstances, possibly due to the huge mixture of similar breeds. Country Life describes them best, as: “Less bouncy than the Jack Russell, more rugged than the Norfolk, more assertive in stance than the Dandie Dinmont or the Bedlington-to which he’s related-and more cuddly-looking than his neighbour, the Lakeland, the border’s pansy-shaped face, wise, dark eyes and pepper-and-salt markings give him the enquiring, professorial air of an otter poking its whiskers above the water.” Perfection. 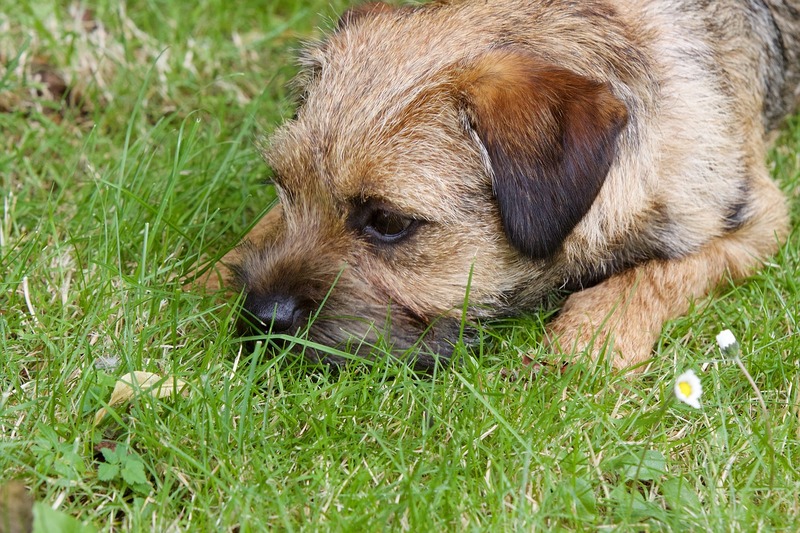 Did you know that the border terrier may well be one of the oldest terriers in Great Britain? As seen in many of the great hunt paintings, they have been used as a hunt terrier by the border Foxhounds since 1869. They were recognised as a breed by the British Kennel Club in 1920 with the formation of the Border Terrier Club and, although never having reached the ring-show popularity of other terriers, they have remained very true to their original form and function. For any information on our range of working dog food and your local stockists, click here or get in touch with us on +44(0) 844 800 2234. Food is one of the most powerful motivators for dogs which is why it is such an effective tool when used in obedience training – it can be one of the best ways to reinforce positive behaviour and makes learning much more enjoyable for them. Some trainers argue that treats are only suited for non-professional trainers, but there are numerous training books that support the method, particularly when your dog is first learning. Treats can help build positive reinforcement when introducing tools such as a whistle and when your dog is young enough to be distracted more easily, but remember that treat training doesn’t have to be long term – it can simply help your dog get to grips with what you’re asking to do. The edible rewards you use should depend on your dog and how much reward you want to give it, however we recommend choosing treats that can be broken up, free from artificial additives and tasty such as our training treats – they are also wheat gluten free. If food excites your dog then remember to wait for it to calm down before rewarding with a treat. We want to reinforce calm behaviour rather than excitable. Use treats between verbal praise and affection. The goal is to not have to bribe your dog with proof of a treat every time, but to reinforce the good behaviour after reacting well to instruction. Rewarding progress is a great way of saying to your dog “yes, that was good!”, even if the entire command wasn’t met. They will eventually work out which reactions are good and get ever closer to the goal. If you’re worried about overdoing the treats or becoming a distraction for other dogs with treats in your pockets, then you can introduce a whistle or clicker alongside a treat. Then slowly fade out the treats until the dog understands what that clicker or whistle noise means. The care that working ferrets need comes in two forms, physical and mental. As very intelligent animals, they need a secure place to live and lots of mental and physical activity to stop them from getting bored. Ferrets are exceptionally clean animals which means their living quarters should be cleaned regularly. Because of their tendency to dig, their cage, hutch or court should be kept as secure as possible too. Living quarters – Inside or outside? Ferrets are happy both inside and outside. Keeping them inside is a great way to build a bond, especially if you have a lone working ferret. However, if you have multiple ferrets, an outside hutch or purpose-built court with a concrete floor might be the best way to ensure your ferrets can’t escape, or get places they shouldn’t. If building your own court, it should be high enough for you to stand up in. Ferrets, like most animals have their own specific dietary requirements. They are obligate carnivores and their good health depends on the quality of their diet. They have such a rapid metabolism and wake up to eat about every four hours. Fresh water and food should always be readily available for them. Ferrets require a concentrated diet to receive all the calories and nutrients they need to stay fit and healthy as they never eat huge amounts in one go. A ferret’s diet should be high in protein and energy, and low in fibre. Putting a short length of drain pipe in the hutch is a good idea to encourage ferrets to go into dark holes. Remember to never force them in, or they may develop a fear. Ferrets need plenty of variety and stimulation to prevent them from getting bored. They love playing with small balls and tubes that can be used as tunnels too. There are many accessories out on the market but, if you are creative, you can make your own versions using household items or items from the shed. When handling your ferret it is important to make sure they feel comfortable and secure. It is best to hold them under their front legs. It is also important to check your ferrets’ claws regularly as the front claws grow very quickly. Your ferret will probably not get much chance to wear them down by digging, so it is up to you to clip their claws. What other jobs are working dogs used for? Jobs for working dogs have changed dramatically over the centuries. Their roles began with all sorts of simple, practical tasks, such as helping their human companions with hunting, fishing, herding and farming. More recently, dogs have been set tasks and jobs that majorly help humans, often changing their lives for the better or even saving lives. From assisting people with disabilities to guiding the visually impaired and detecting life-threatening diseases at early stages, these are just a few ways our canine companions work to save lives every day. Germans shepherds are the most commonly used breeds as they are particularly skilled when it comes to detection. How do dogs detect diseases? Dogs can identify tiny odour concentrations of around one per part trillion. That’s the equivalent of one spoon of sugar in two Olympic-sized swimming pools. This is how dogs are able to detect even minor changes in human odour that are often triggered by a medical issue. The majority of Medical Alert Assistance Dogs are used to detect diabetes. Trained to detect minute changes in blood sugar levels, when these levels fall or rise outside the normal range the dogs will warn their owner, get help and fetch any vital medical supplies. Other Medical Alert Assistance Dogs are trained to detect the air-borne allergens in an environment, and then alert their client to the dangerous trigger. 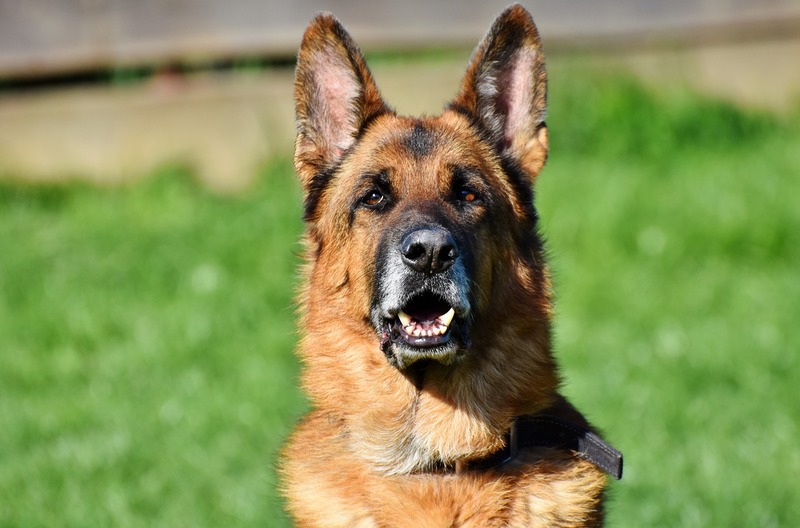 Medical detection dogs are carrying out an NHS ethically approved study with their ability to detect urological cancers using their sense of smell. They have the ability to detect breast cancer and the potential to detect other cancers such as lung and colorectal cancers. Recently, conservation dogs have been working to detect endangered species which have a low detection probability, such as great crested newts. Being a protected species, their disturbance or destruction is illegal. Clearing areas of protected and endangered species can be costly and time consuming. Working closely with the construction industry and ecologists, specially trained detection dogs can make this process quicker, more efficient and more cost effective. German shepherds and the Malinois are particularly skilled when it comes to sniffing out and detecting alcohol, drugs and firearms. These skills also come in handy when it comes to looking for something hidden as their noses can lead us to places that we would struggle to find otherwise. It’s important to note that working dogs take a lot of training in order to follow directions, even if they are simply doing what comes naturally to them. Breeds that are bred to be working dogs require a lot of patience and training. 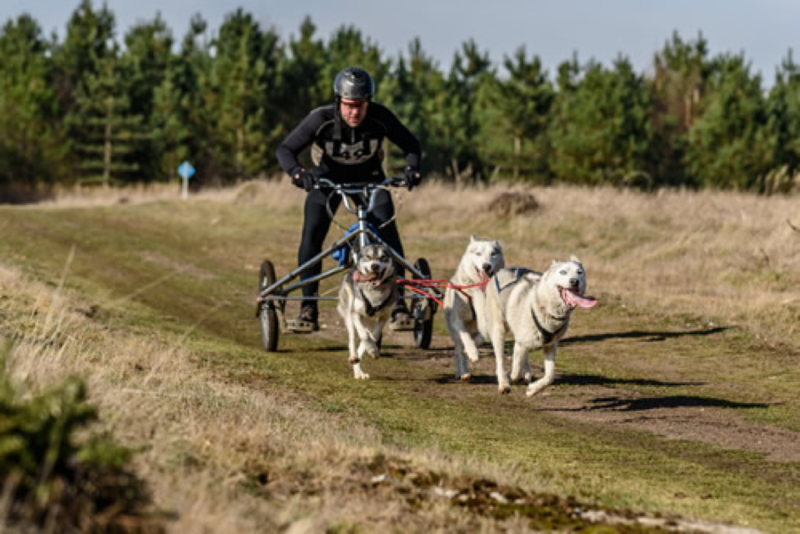 They also require much more mental and physical stimulation than other breeds, but the things they can achieve with the right training are incredible. For information on our range of working dog food and your local stockists, click here or get in touch with us on +44(0) 844 800 2234. A Border Collie is not only a very popular working dog breed, it’s also the 12th most popular breed of all dogs and it’s not hard to see why. Not only are they exceptionally easy to train, highly intelligent and don’t shed much compared to some dogs, but they are also known to be great around children and other animals. Their intelligence is really what sets them apart from other breeds in this field. They rank at number one for intelligence, out of seventy-nine other breeds and are known to be the best herding dog on the planet. For generations, the Border Collie has worked alongside shepherds and love being outside, challenged and exercised. Once trained, Collies rarely get it wrong and when they focus on an owner or handler, it is usually very hard to break the dog’s focus. 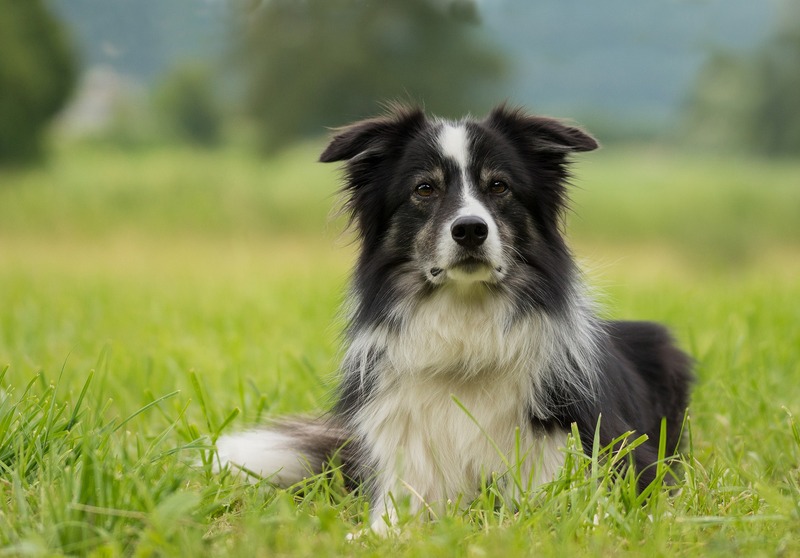 Border Collies are very energetic, moving freely and smoothly with the minimum of effort. This gives them the accurate appearance of both speed and stealth, especially when herding. 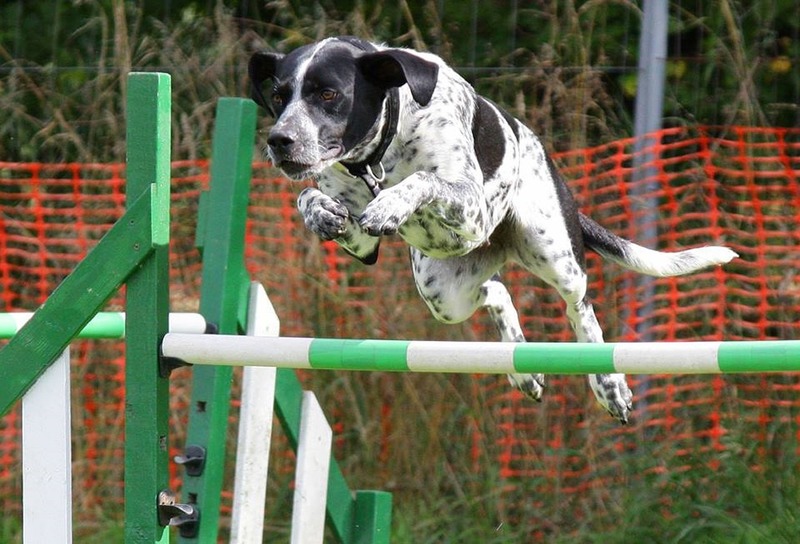 They are incredibly agile dogs, winning many canine sporting activities for their agility skills. As history shows, Collies boast an extremely strong instinct to work alongside man, always ready and alert to any commands they are given. They are patient too, and are good with authority, children and other animals. Not only do these dogs work to herd flocks of sheep, but they are a popular choice for search and rescue dogs, as well as tracker and sniffer dogs too. Border Collies tend to form a very strong bond with one person in particular. They will always be friendly and affectionate to the rest of the household too. Herding is a trait that’s deeply embedded in a Collie’s psyche. They have a high prey drive and will chase an animal whether large or small, not necessarily to hurt it, but because they feel the need to. It is important that each Collie understands the “recall” command, and will obey it in an instant, otherwise it’s not wise to let one loose around livestock. For any more information on our range of working dog food and your local stockists, click here or get in touch with us on +44(0) 844 800 2234. Life with a Siberian Husky is fun, exhilarating and sometimes very, very frustrating. This can be a challenging breed and they are certainly not the right dog for everyone. A lot of people are drawn to their stunning looks but Siberians are so much more than a pretty face. They are athletes, magicians, acrobats, opera singers, demolition experts and the cheerful slayers of mice, frogs and birdies. Siberians are hard-wired to run and to pull and to be part of a team (even if you are the only other member). It satisfies what is a very basic yearning in them. Rather than fight it, the happiest Siberian owners are the ones who roll with it, and allow their dogs to give them a taste of a life less ordinary, a million miles away from work, bills and the daily grind. 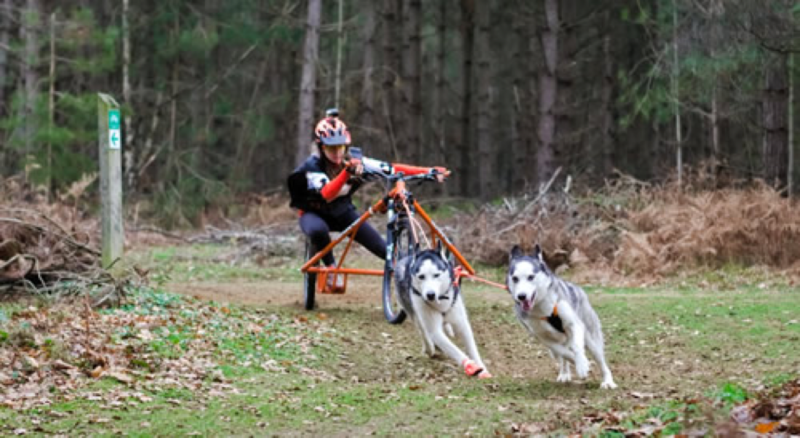 Your husky was born to be a sled dog. He wasn’t born to walk nicely to heel, be an agility star (unless it’s inconveniently of his own choosing – see Fact 3) or be a status symbol. 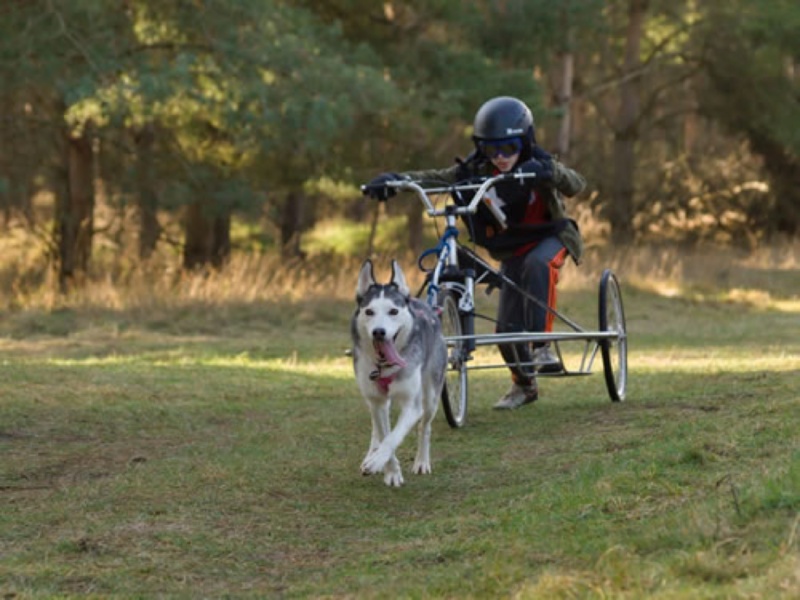 Some of them can, and do, enjoy other activities but these activities have to be carefully tailored to take into account you’re dealing with a sled dog whose ancestors were carefully selected for generations pretty much only to run as far, and as fast, as possible. You don’t have to head to the tundra or snow covered plains to do this. 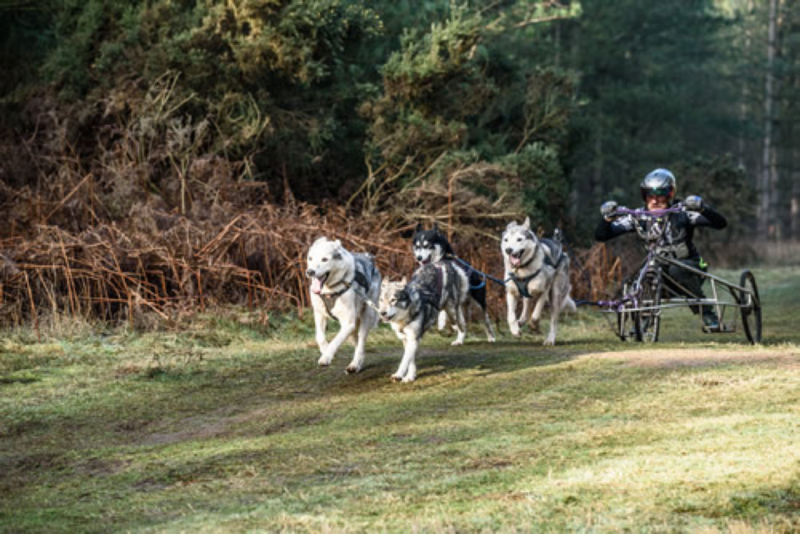 Happy sled dogs in the UK run on dry land pulling three wheeled rigs (in a team) or a bike or scooter (on their own). 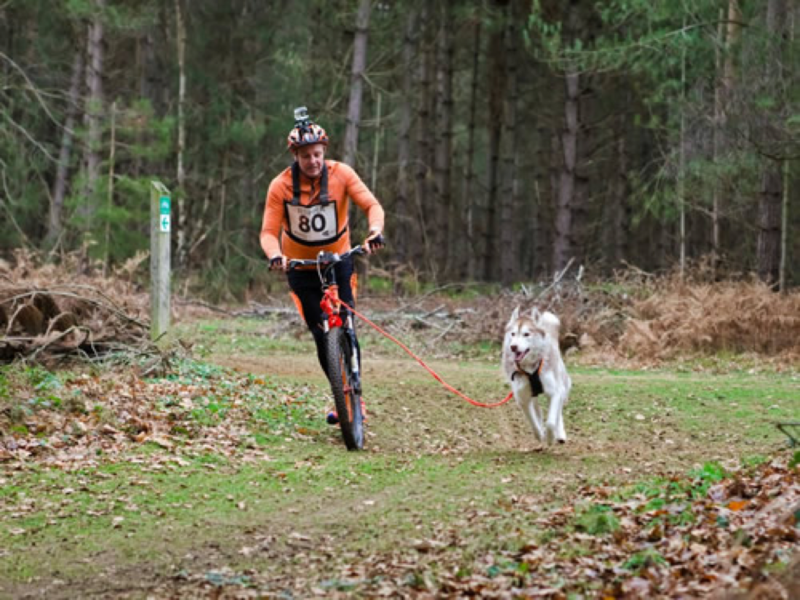 Some energetic owners even harness their dogs to themselves and run (cani-cross). Fact Two: They are interior designers and garden re-modellers. Siberian Huskies can have their moments of being extremely and randomly destructive. These moments are not always predictable or fathomable. Think six years of perfect behaviour then suddenly you come home to no wallpaper and a pile of sawdust where your coffee table used to be. Couple this with their fairly unique theory of property ownership and you will often find yourself hunting for one of your shoes in the garden and not always being thrilled with the state it’s in when you find it. Many huskies take digging to an advanced form a civil engineer would be proud of, and this is not necessarily always done outdoors. A friend’s dog lost his favourite ball underneath the sofa but it was okay as he dug through the cushions and base to retrieve it. The sled dog determination that enables them to run for miles in challenging environments also makes them so cheerfully determined to overcome obstacles that many people have come home to find husky shaped holes in the interior doors, eaten window frames or whole sections of plaster board removed from partition walls. Many people put this undesirable behaviour down to boredom or lack of stimulation but it’s equally often just a husky’s pragmatic approach to problem solving. Huskies like to keep one eye on the far horizon and to them, yes, the grass is always greener on the other side of whatever is in their way. This is an advantage when it comes to travelling with your dogs as they are never happier than when being loaded into a vehicle for another exciting road trip but it also gives them an unfortunate degree of dangerous wanderlust. Off lead activity is never a good idea for Siberians unless they are in a fully enclosed area (although still be careful as to some Siberians “fully enclosed” presumably comes across as some kind of a challenge) and they are quick to take advantage of even the unlikeliest escape route or split second of owner carelessness. I chased a Siberian around the village in my pyjamas because a 28kg dog squeezed through a hedgehog sized break in the chain link fence. They appear to be able to dislocate their body to do this sort of thing. You can usually spot the garden of a Siberian owner (and not just because of its moonscape nature and lack of natural lawn). The vast majority of Sibes need maximum security fencing designed, planned and then later reinforced and reinforced again with the understanding that if they do not try to dig under it or barge through it, they will at some point attempt to go over it. Most Siberians do not constantly lose bits and pieces of their coats so, yes, the good news is there are occasional times during the year when you can wear black trousers that are not made of leather or plastic. However, this is more than compensated by the fact most Siberians blow their entire coats out once or twice a year and lose about 16 normal dogs’ worth of the kind of fluff that can penetrate solid objects. These are the terrible times you eat and breathe dog coat and most of your hot drinks start with picking a stray hair or two off your tongue. Even if your dogs are not allowed upstairs, your bedroom carpet will still be coated in it and your vacuum cleaner has probably burned itself out by this point. I’m far too dogged-up to be even remotely house proud but shedding can reduce even me to tears, especially when you are inexplicably unblocking soggy dog hair out of the plughole (do they even ever go near the sink?). Like with most things Siberian, there appears to be little rhyme or reason with the shedding, at least to UK resident dogs who we appear to have confused out of any reasonable seasonal coat growth pattern. It is July as I write this and the temperature has been bouncing around the mid to high 20s this past few weeks and I have dogs who are down to their underwear and dogs who have gloriously full coats. The same thing happens in winter. Huskies are mercurial creatures who can change in seconds from being so utterly standoffish you think you might have offended him, to a wildly, waggy furball who greets you with frantic relief after you’ve been in the shower for five minutes. 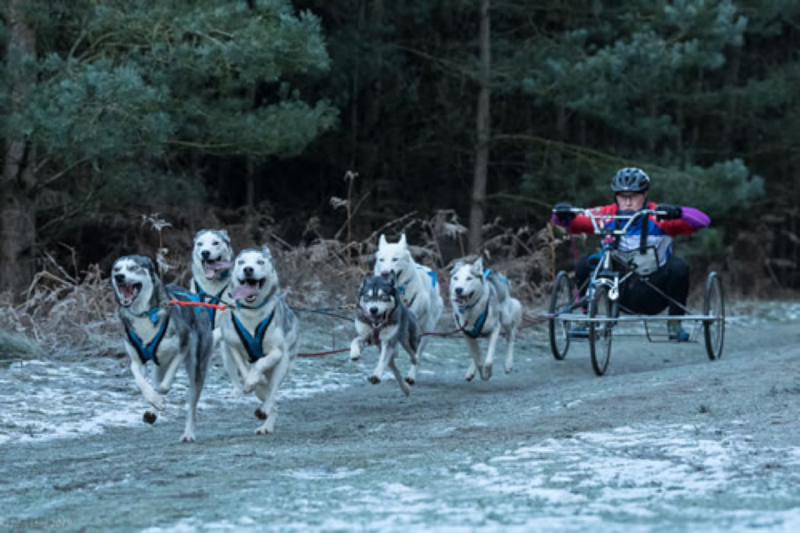 I think this is largely because anything outside of their sled dog hard wiring (me run, pull, run), they are basically winging. This consistent inconsistency extends to their vocal abilities. While generally the neighbour’s Jack Russell or Rottie will be 10 times noisier (and definitely more annoying), when a Siberian decides to exercise his vocal chords, you’re going to know about it. While huskies are not overly barky dogs (although they can and do bark at times, especially if unsure about something), they mostly like to sing. Like all amateur karaoke artists, not all of them are particularly good at it. While some produce a soulful, lilting howl, others sound like strangled cats (although in their heads I’m sure they are hearing the melodic call of the wildest wolf). 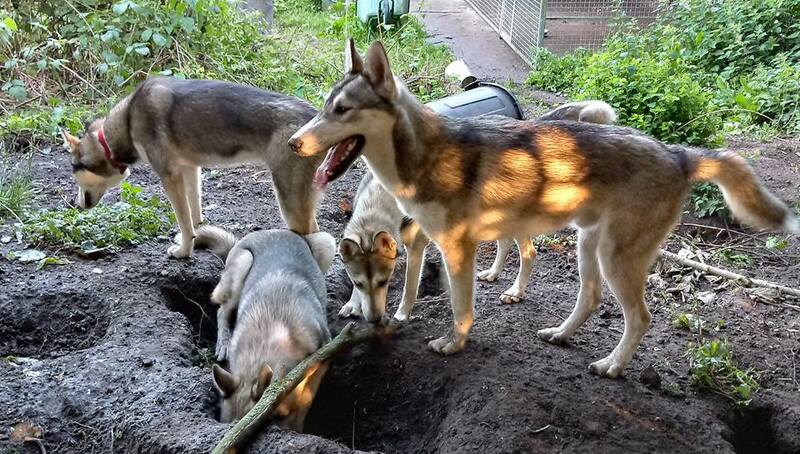 Like wolves, however, Siberians tend to howl to call the pack together. As their pack usually includes you, you might find you’re greeted on the way in from work or sent on your way in the morning by a bit of a sing song. As well as howling, they can be quite chatty and vocal in other ways. Happy Sibes like to tell you exactly how they are feeling with a wide range of wooing and will often engage in a very animated two way conversation with you. As their level of excitement rises, so does the pitch. My own dogs are most excited about running and eating. Harnessing these dogs to run sometimes deafens you (thankfully we are in the middle of a forest at those times) and food preparation has to be carried out like a kitchen ninja before they hear a bit of kibble hit a metal dish and start to shriek their anticipation. The bonus sixth fact is that in spite of all of the above, they will steal your heart. Yes, they might trash your garden, empty your bank account and cut down casual social visits to your home by about 90% but they will definitely and permanently steal your heart. Spotlight on Labradors: why are they so popular? 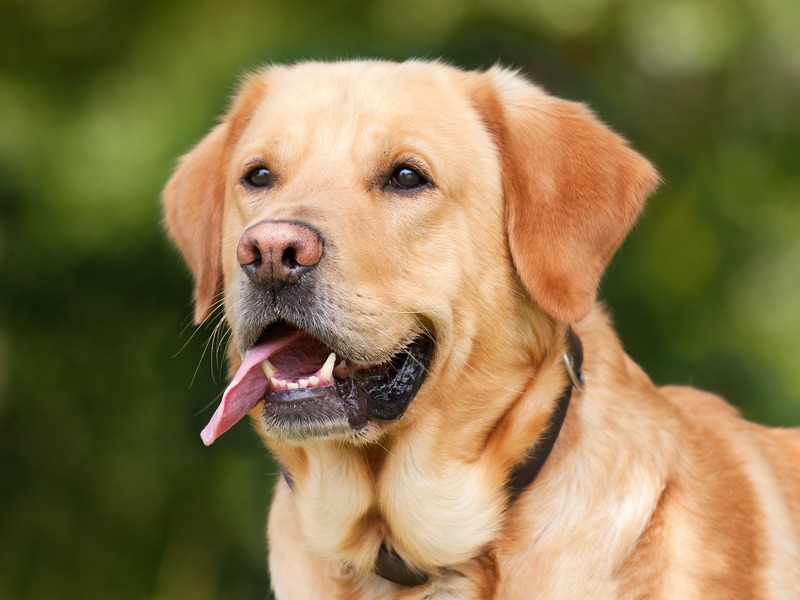 Labrador Retrievers…the nation’s most popular breed of retriever. In fact, they are also the most popular breed in the US too! Not only do they make great companions in the home, but they also make excellent guide dogs, therapy dogs, service dogs, and of course gun dogs. Labrador retrievers are traditionally coloured black, yellow or chocolate brown, and are packed with reactive instincts that make them brilliant working dogs. The primary purpose of a working Labrador is to venture out with its owner and help them during shooting. It is the responsibility of the Labrador to retrieve the shot bird and bring it back to its owner. Labradors are extremely athletic, and they are naturally gifted swimmers due to their otter-like tails, their webbed feet and their water-resistant double coats. They have strong noses and are very courageous meaning they are a great companion to have with you during shooting season. Labradors are also extremely agile creatures: they are focussed and able to remain alert throughout the entire process. They are extremely intelligent and have a huge desire and willingness to please their owners, making them a perfect gun dog. Working Labradors have a tough job, and just like us, they need fuel to be able to complete their duties. Alpha Feeds has a vast range of different working dog recipes available to buy, with proteins ranging from 19% to 32% and oils ranging from 8% to 20% ensuring there is a recipe suitable to give your dog the nutrition they need to support you whatever the season. In April, leading dog and ferret food brand Alpha Feeds launched a competition on Facebook to win £500 worth of sponsorship. The competition was open to any dog or ferret-related charity or working group, with the sponsorship being a £500 supply of food for whichever bunch of furry friends they deal with. 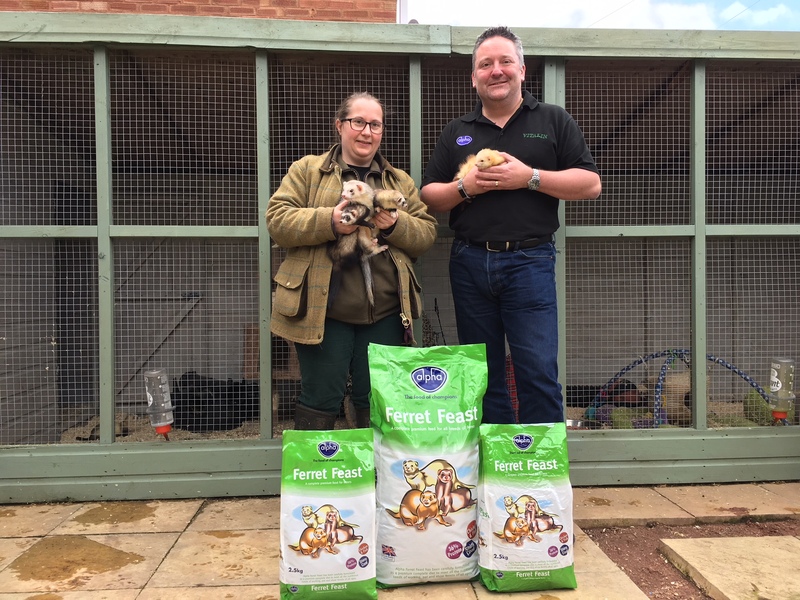 Alpha Feeds are delighted to announce that the winner of the competition was Staffordshire based charity Chase Ferret Rescue, with the charity receiving £500 worth of Alpha’s premium ferret food. Chase Ferret Rescue was founded in 2000 by Angela and Christopher Taylor, with the aim to help ferrets in need, from stray to mistreated, as well as offering boarding services. Angela has been keeping ferrets since 1998 with the guidance of her father who at the time, had been keeping working ferrets for around 30 years. As time passed by, they found more and more people in the local area taking ferrets to them for advice and care, so they decided to open Chase Ferret Rescue, a fully-fledged ferret rescue centre. Ferreting is an ideal way to harness pest control and catch those pesky rabbits. Ferrets – Everyone has differing views on what makes a good ferret, some prefer hobs others prefer Jills, but either should always be well handled. A ferret doesn’t need to be aggressive in order to do a good job, it just needs to be well socialised and from proven working stock. Spacious housing – Ferrets are renowned for escaping, so make sure your ferret accommodation is spacious but strong. Well exercised ferrets are happy ferrets. Food – Our Ferret Feast food is the perfect choice of food for your ferret as it contains a mixture of both protein and vitamins and minerals that are essential for keeping your pet happy and healthy. Read more about our Ferret Feast here. Nets – Nets are key to catching the rabbits once they have bolted from the warren. There are many available instructions on how to make your own purse net, or you can simply buy them from a reputable net-maker. 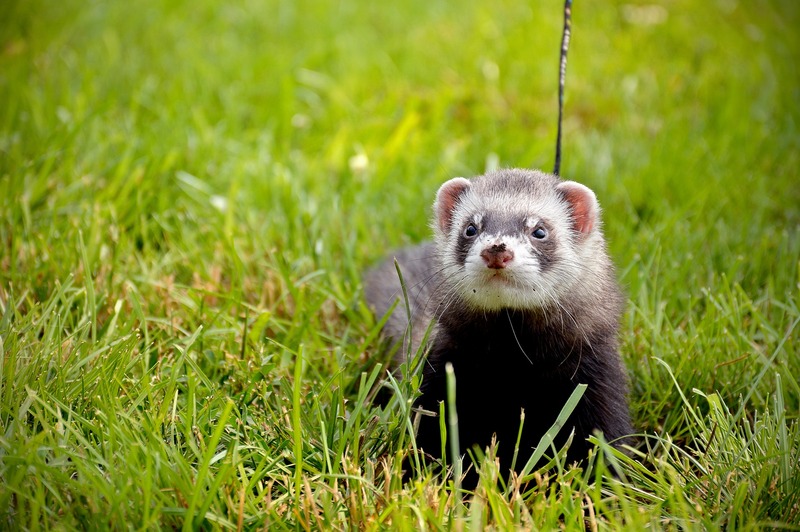 Ferret locator – A ferret locator or a ferret finder is a tracking device which attaches to the ferrets neck. This makes sure you don’t lose your ferret when it finds a rabbit hole. It’s good to practice using the locator before you go hunting as well as the responsible actions of using one when required..
Spade – A well designed spade such as The Bulldog Rabbiting Spade, will help you to dig your ferret out if/when required. These are your essential tools needed to start ferreting. 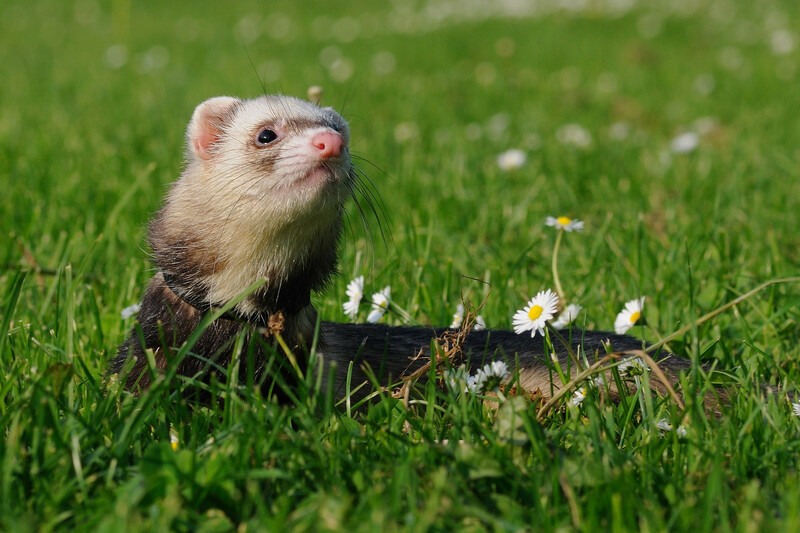 For any further advice on ferrets or ferreting, or phone us on +44 (0)844 800 2234, we’ll be happy to help.